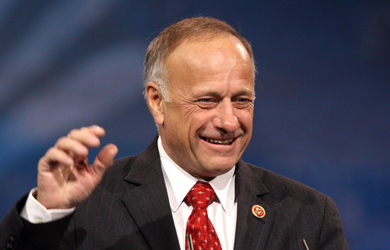 Last month during anti-immigrant hate group Federation for American Immigration Reform’s “Hold Their Feet to the Fire” radio row, Rep. Steve King, R-Iowa, claimed that Democrats want to “grab guns,” which he said would lead to “a tremendous amount of bloodshed” in the U.S. 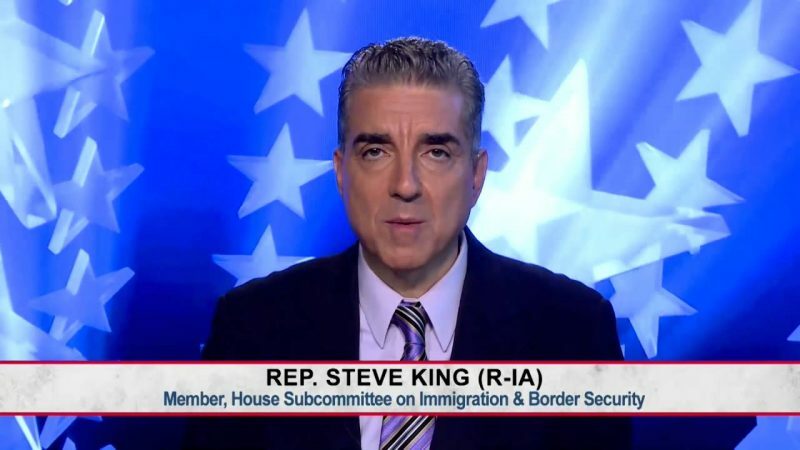 Speaking with radio host Lars Larson on June 23, King speculated that the FBI dropped an investigation of Orlando nightclub shooter Omar Mateen due to “political correctness in not going after someone that was Muslim” and faulted Democrats for calling attention to gun laws in the wake of the attack. 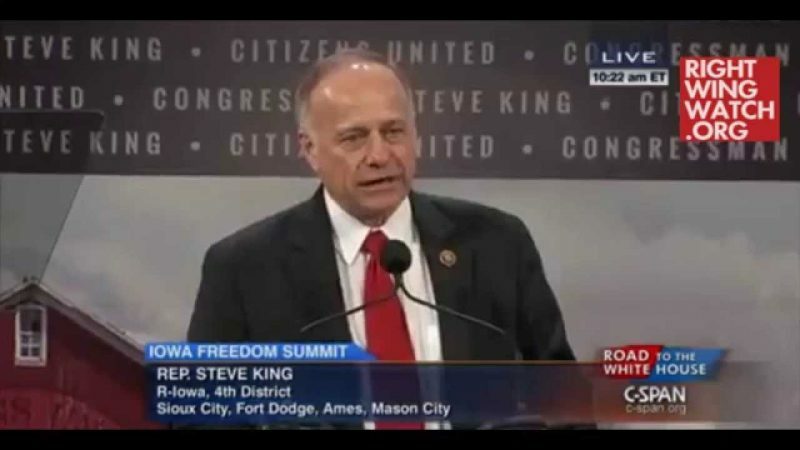 “This is a gun-grabbing agenda that’s there, and it came right out of the mouth of the president within hours of the shooting in Orlando when he gave his presidential address that spoke to that, and right away he blamed it on guns rather than radical Islamic terrorism,” King said. “This man was Omar Mateen, was three times, at least three times, was interviewed and questioned by the FBI,” King said. “They decided they would close his file and put it away because they didn’t have enough to work with. I think they might have been influenced by political correctness in not going after someone that was Muslim. But they put the file away, he had met his security background check by the security company that he worked for.